Wondering who Tasha is? Tasha is a real person. JaySo’s biggest fan & an aspiring rapper. 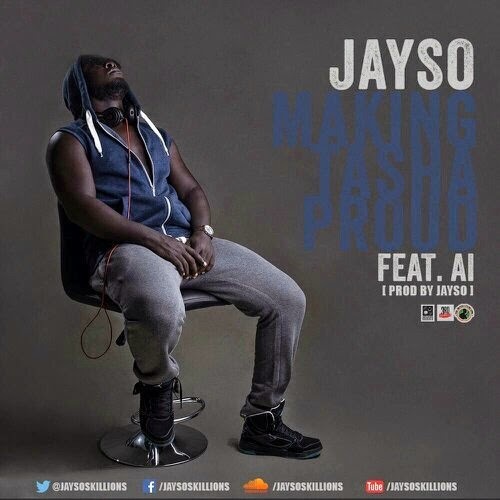 “Making Tasha Proud” is the first single off JaySo’s upcoming album. As some of you may already know, JaySo’s been making music for over a decade. His journey’s been full of thorny paths and rainy days. Through it all he’s remained focused and owe’s his success to all his loyal fans, family, friends and God. He dedicates this song to friends of the Skillions family & those that gonna join the family henceforth. A.I’s was featured to write a hook & a bridge.